Our new bite-sized crunchy fried shrimp are served with cocktail sauce and are the perfect way to start your meal. While they are great for sharing with friends, it’s ok to be a little shellfish and keep them all for yourself! 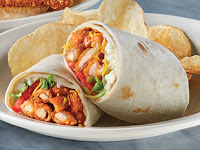 This new item includes crispy buffalo popcorn shrimp in a warm flour tortilla with lettuce, tomato, cheddar cheese and your choice of our homemade Ranch or bleu cheese dressing. 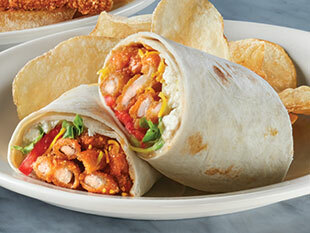 Plus, we serve it with your choice of one side! 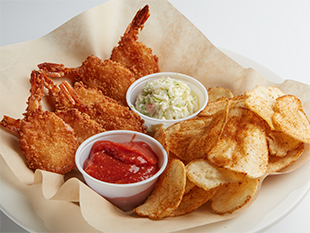 A new twist on a classic dish - this plate features butterflied shrimp with a crispy coating of panko breadcrumbs and OLD BAY Seasoning. We serve it with fresh potato chips tossed in OLD BAY Seasoning, plus cocktail sauce. 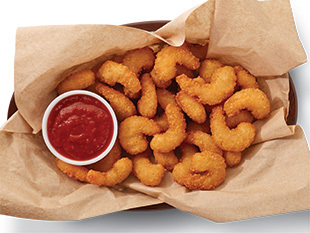 There’s nothing small about these shrimp! 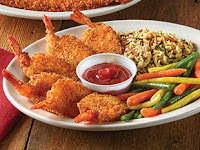 Our new Shrimp Dinner includes butterflied shrimp with a crispy coating of panko breadcrumbs and OLD BAY Seasoning. It’s served with cocktail sauce and your choice of two sides and bakery-fresh rolls. Our Whale of a Cod is one of the reasons we are so excited that seafood season is finally here! This HUGE cod fillet is hand-breaded with panko breadcrumbs and fried to a golden brown perfection. It has become such a favorite that we are featuring it in several dishes because we just can’t get enough of this delicious delight! 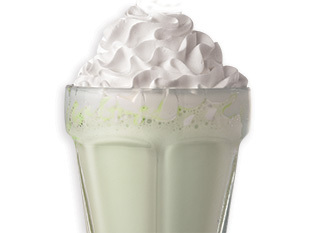 An Eat’n Park legend! 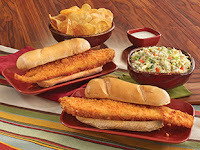 You’ll enjoy our HUGE cod fillet served on our fresh-baked hoagie roll. It’s served with your choice of one side and is sure to have you hooked after just one bite! It’s also being featured as one of our new salad bar dinner deals! The perfect mid-day meal, this plate includes our enormous Whale of a Cod fillet and a heaping helping of cheesy macaroni. Talk about the perfect pair! For the whale fanatic that just can’t get enough, we suggest our Whale of a Cod Dinner. It boasts our HUGE Whale of a Cod fillet and is served with your choice of two sides and bakery-fresh rolls. 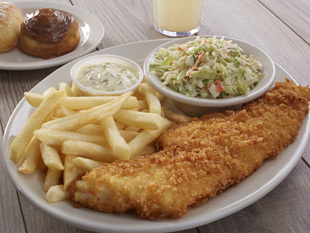 For the family that is always on the go, our Fish Fry To Go is the perfect dinner solution that won’t slow you down! Available only for takeout, this feast includes two Whale of a Cod fish sandwiches, your choice of a pint of soup or coleslaw, and a pile of chips to share! 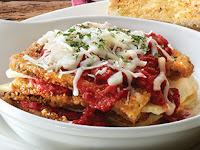 A lasagna with a twist, this dish features hand-breaded fresh zucchini layered with locally made sliced ricotta cheese (from Emerald Valley Artisans, Washington County, PA) and marinara sauce. We top it with mozzarella and Asiago cheese and serve it with garlic toast. 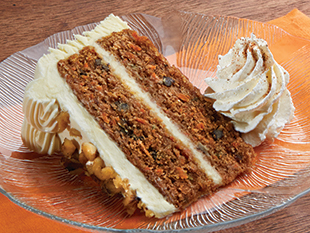 The perfect ending to your meal, our Carrot Cake is a returning guest favorite! Those are some great suggestions! We'll make sure to pass them along to our menu development team! 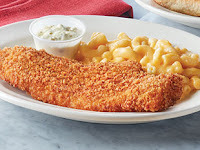 I like the fish selections but the only concern I have is the unbreaded fish entrees they are kind of small compared to the fried fish entrees. Love them both but the unbreaded should be larger. I have had the whale of a cod fish sandwich and it is AWESOME!!! Can't wait to try the shrimp dinner. They have hands down some of the best pierogies on their brunch buffett. And haluski would be fantastic!! 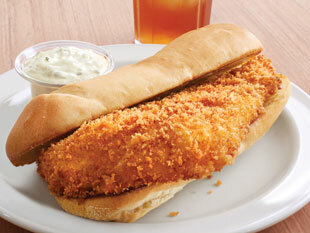 I would love to see a bake cod no breading at all. For us that is on a gluten diet.. Thank you for all of this great feedback! We will be passing it along to our menu development team!